Tuesday was The Day of the Macedonian Revolutionary Struggle; it was also a holiday and a good time to see more of Macedonia. 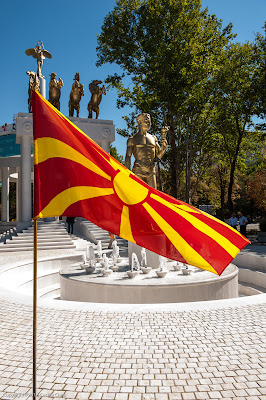 On this day in 1893 the Internal Macedonian Revolutionary Organization (IMRO) was established with the purpose of liberating Macedonia from the Ottoman Empire. 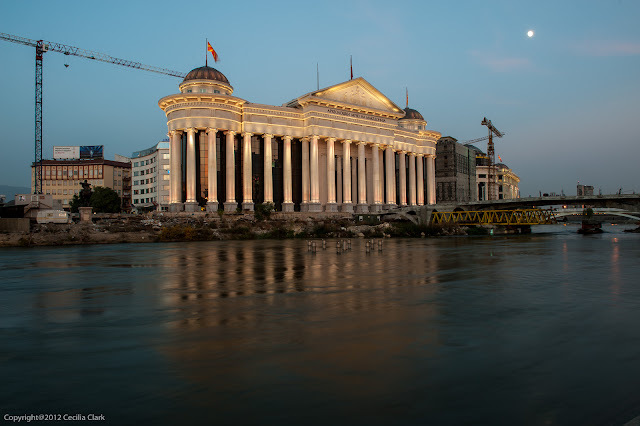 Today, this revolutionary movement has devolved into a right-wing political party (the party in power) known as VMRO. 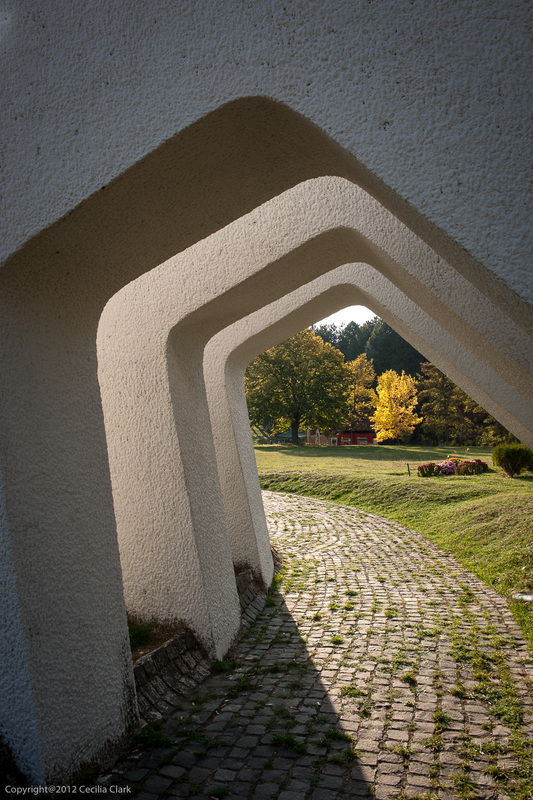 Kruševo was the scene of an early 20th-century struggle against the Ottomans. 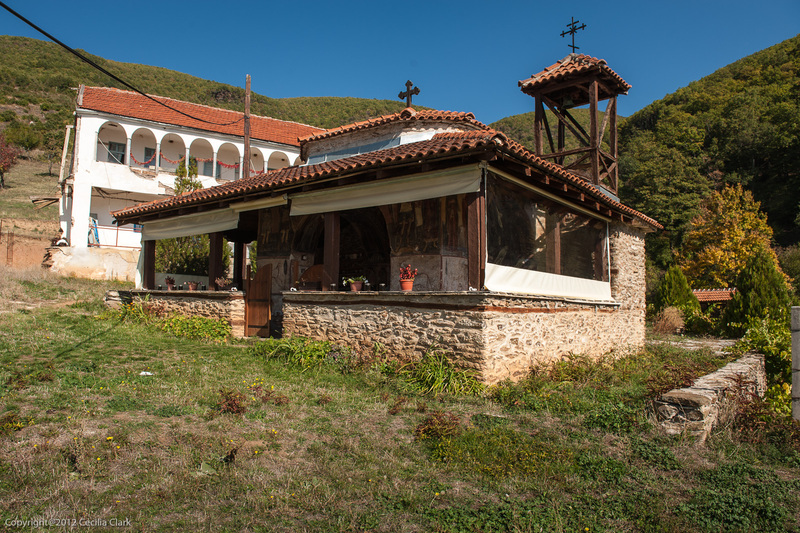 The Ilinden Uprising began on August 2, 1903 (St. Ilija's Day and "Den" means "day" in Macedonian). On August 3, 1903, rebels took the town of Kruševo and established a revolutionary government. 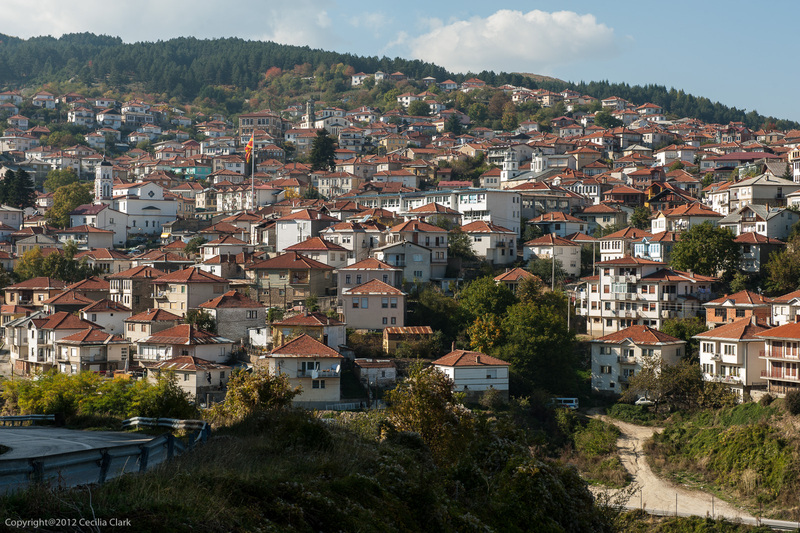 The Krusevo Republic lasted just 10 days, but left a huge legacy in the struggle for Macedonian independence. 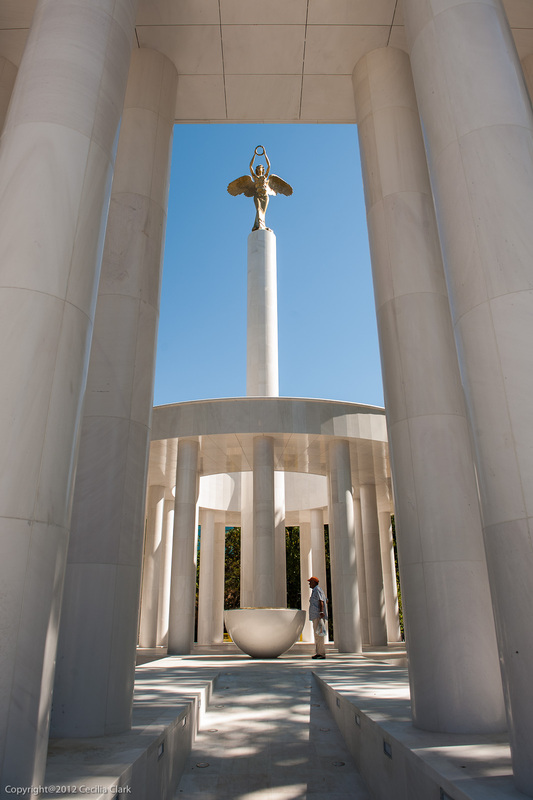 There are several monuments to commemorate the struggle for independence from the Ottoman Empire. A guide at the monument explained some of the parts and their metaphorical meaning. First, there are three links that symbolize the links in the chain that represent three centuries (15th-17th) under Ottoman rule. Then, there are two broken chains laying nearby that symbolize the attempt to break free in the 18th & 19th-centuries. Moving up the hill beyond the trees is the monument for the 20th-century Ilinden Uprising and the 10 days Kruševo was a republic with a president. The tomb of this president, Nikola Karaev, is within this monument. The eternal flame, however, is out. 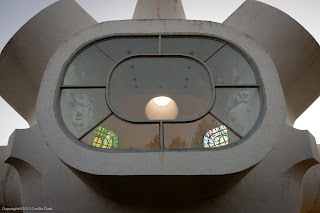 The Ilinden Monument, installed in the 70s, looks very much like an artist's conception of a space ship. It is supposed to be in the shape of the heavy club weapon called a mace. Kruševo the place to be on the August 2 holiday and that is date when this "ethno" village really comes alive. Kruševo was very quiet during our two days in October, but it has my vote for the friendliest town in Macedonia. Everyone was extraordinarily friendly toward us, and they seemed pleased that we wanted to photograph them and their beautiful town. 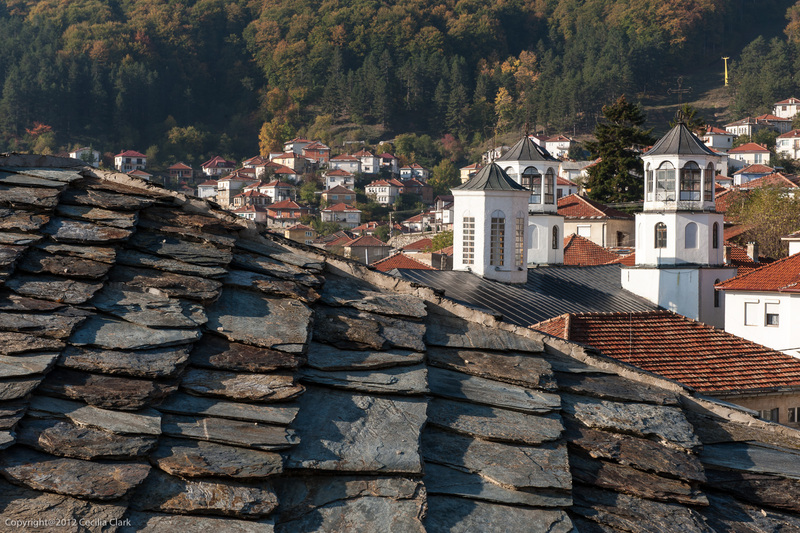 Kruševo, with an elevation of 1260 meters, is the highest town in the Balkans. The autumn weather was crisp and cool in the mornings and evenings, and the smell of wood smoke and grilling peppers filled the air. We stayed at the Casa La Kola B&B because back in February we purchased a weekend stay in Kruševo at a charity auction. Casa La Kola was very pleasant and comfortable and in the center of town; we parked in front and walked everywhere. The hotel recommended Roma Pizza Restaurant on the main street as the best place in town to eat. We ate both dinners there, and it was really good with local specialties like the "Roma" bake. The guide at the Ilinden Uprising monument told us the Gallery Nikola Martinoski was open. 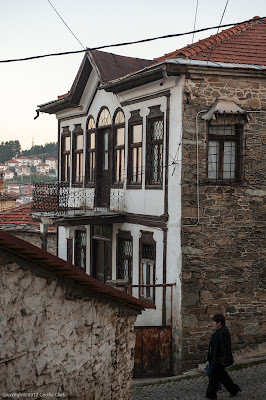 This interesting gallery is in one of the houses of traditional architecture similar to the ones shown above. 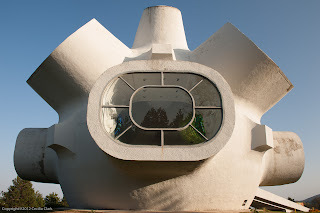 Martinoski was a painter, trained in Paris, who donated many of his fine works to Kruševo. 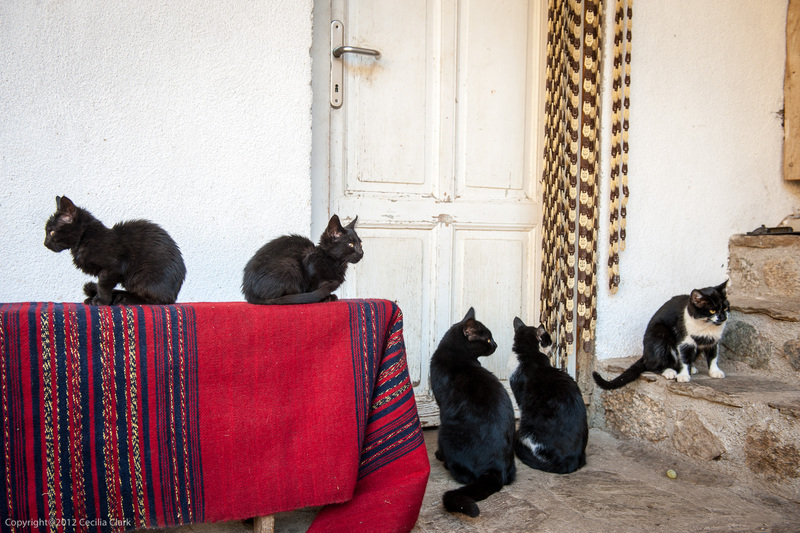 The gallery also has several ethnographic rooms dedicated to early life in Kruševo. 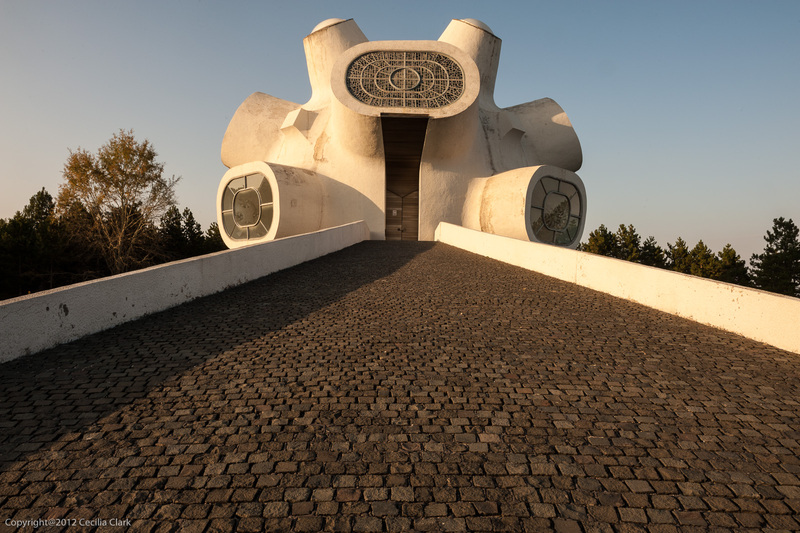 Near the monument to the Ilinden Uprising is the Todor Proeski Memorial House. 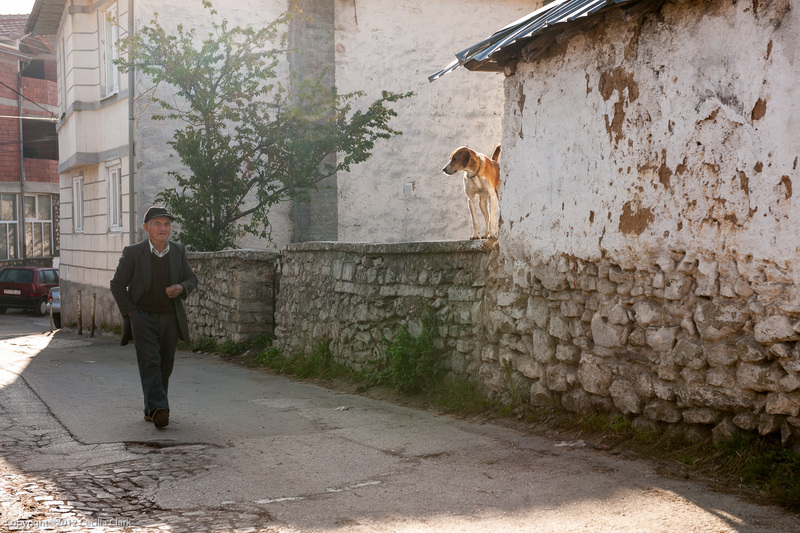 Todor known popularly as Toše was from Kruševo. In 2007 at 26 years old, he was killed in a car accident in Croatia. He was a singer who was very popular in the Balkans. 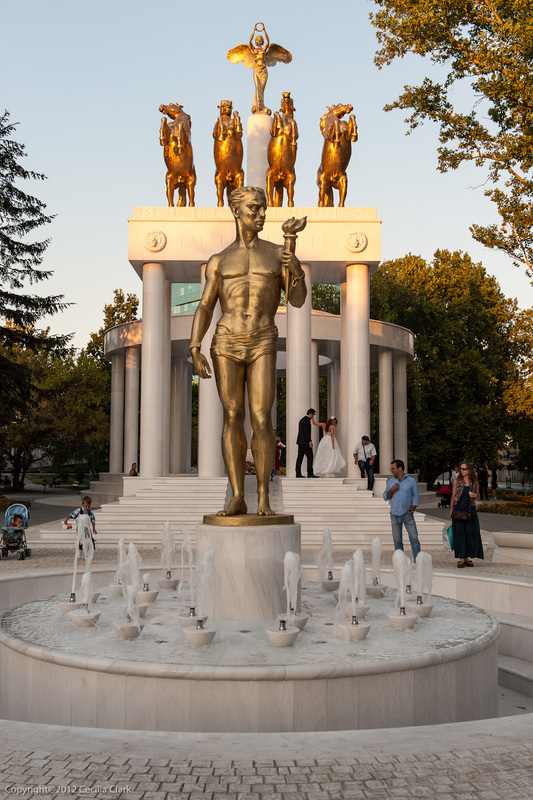 I've heard him described as the Macedonian Elvis Presley in his popularity. The guide at the memorial house told us he was the best singer in all the world. The memorial house preserves everything from Toše' life. His toys, his sports equipment, his guitars, his clothing, his furnishings. 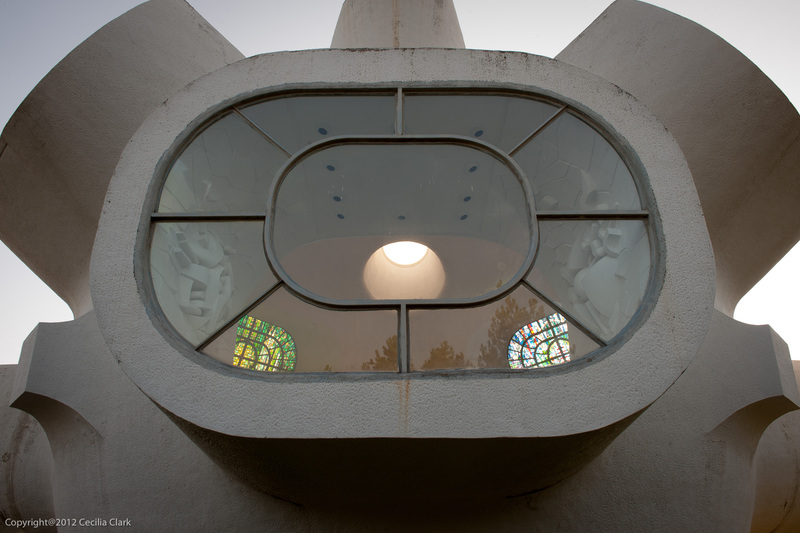 Words to his songs are etched in glass throughout the memorial house. 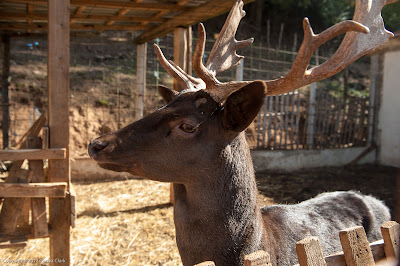 Also nearby is his grave covered by a tent that is filled with gifts left by fans that miss him and remember him. 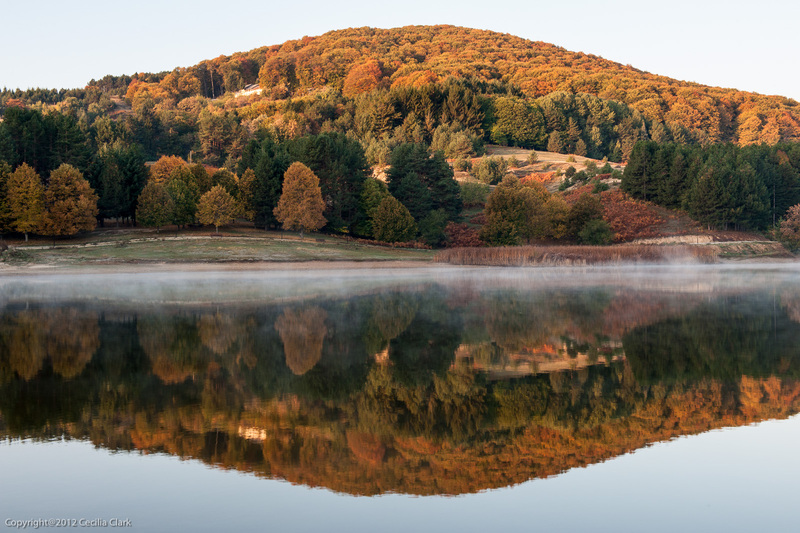 Kruševo Lake is just beyond the Toše memorial house. 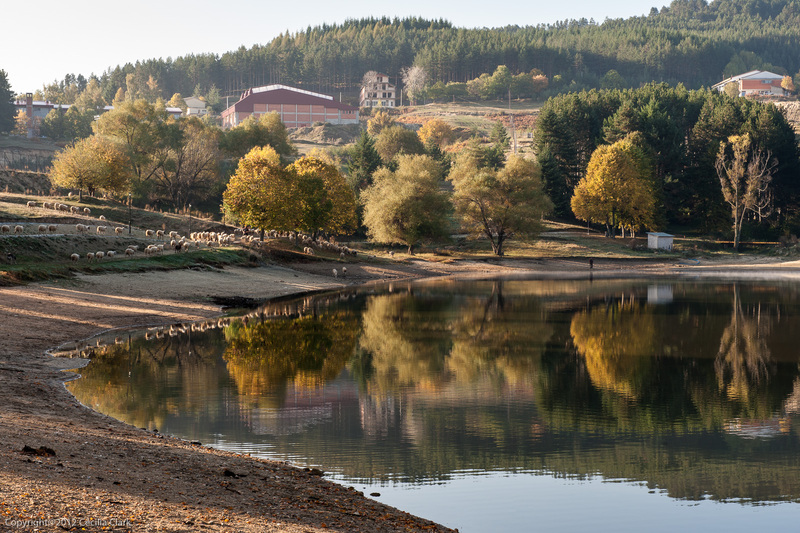 The lake is small with a walking/bike trail around the perimeter. 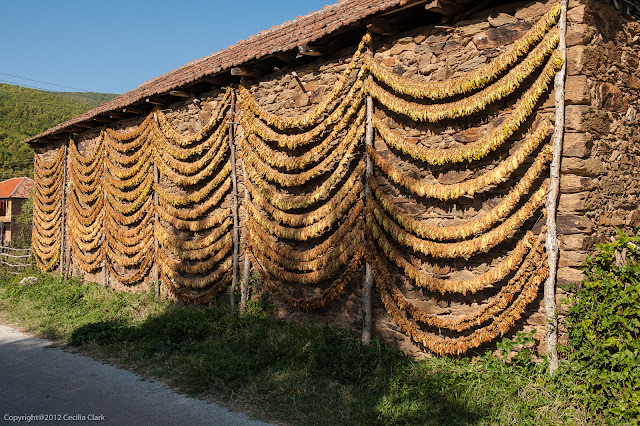 Many small fields of tobacco lay just across the bridge over the small dam that created the lake. 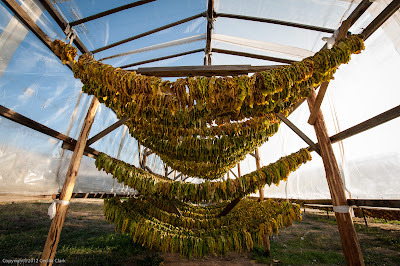 One of the tobacco farmers invited us onto his land to see the process of picking, stringing, and drying tobacco leaves. He has two deci-hectars of land on which he grows tobacco. 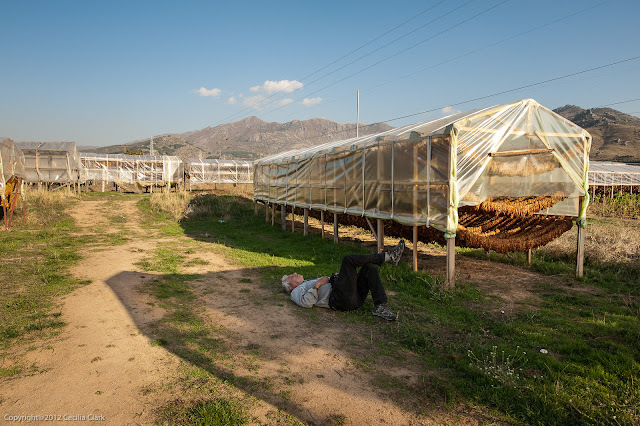 He said he grows a first class tobacco that will net him 4 Euro per kilo, and he will harvest and dry more than 400 kilos of tobacco this season. Our last morning we returned to the lake because it was so lovely and photogenic. The season has changed. 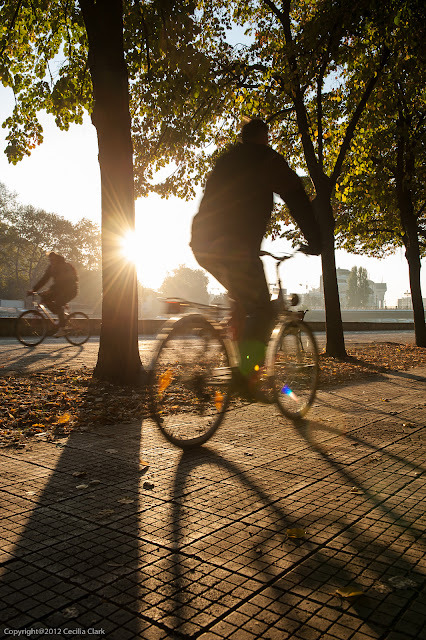 The long, hot summer is gone and there is a crispness to the morning and evening air. The swallows of summer have flown on and the crows have returned. 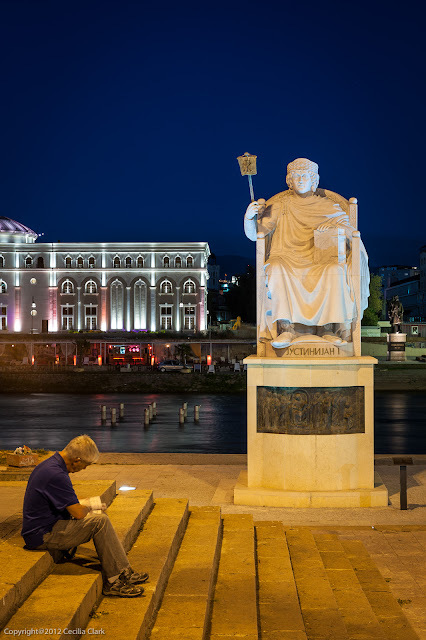 October 15 is the date that Skopje's central heating system begins working. It was on for that one cool day, but now the days are so warm that it is off again. And like the returning crows, no actual comparison intended, the women of IWA have returned from their summer vacations. I've joined a cooking group which met for the first time last Thursday, and Monday hikes are back. 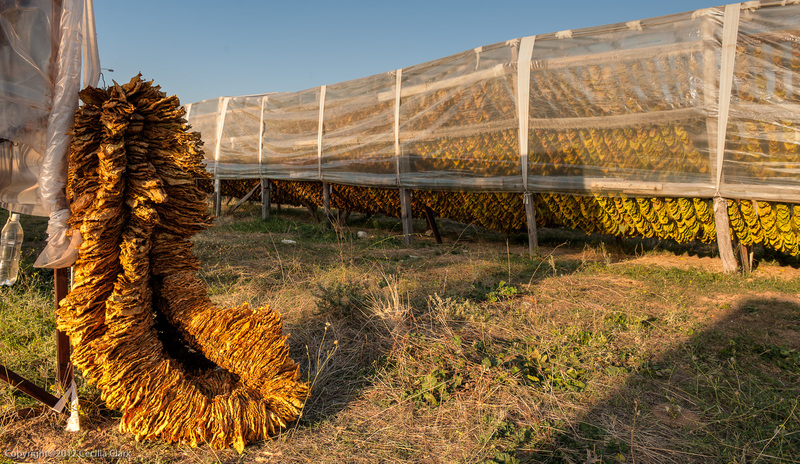 The smell of roasted corn on the cob has been replaced by the aroma of roasting chestnuts. Our summer clothes are packed into a suitcase because the next time we need them we will be in California. 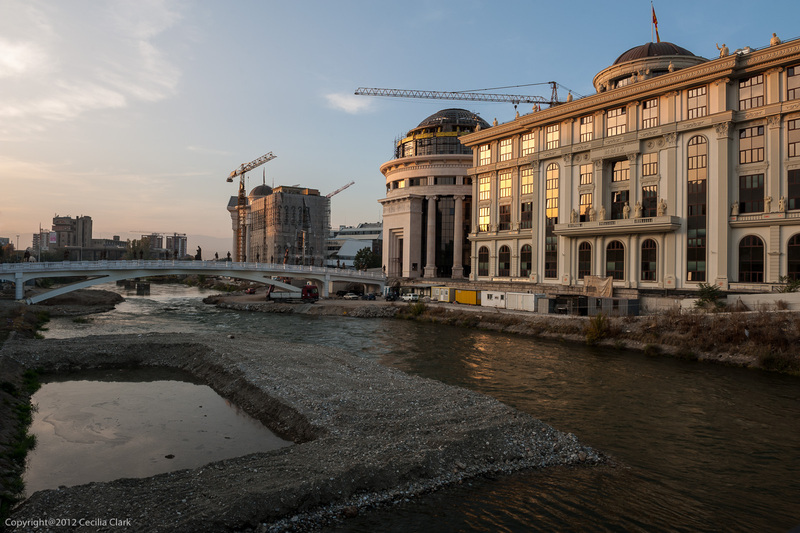 The new Skopje City Mall with a Carrefour store opened about three weeks ago and is attracting hordes of shoppers. Friday evening was the start of the Skopje Jazz Festival 2012. 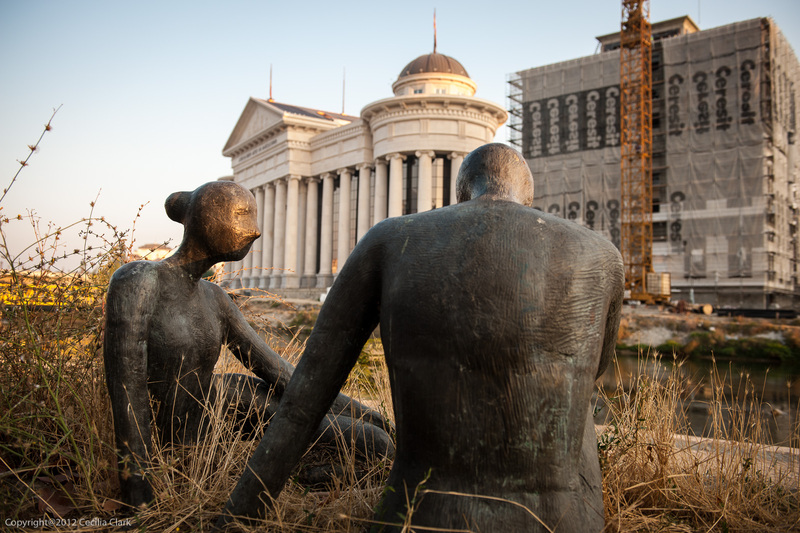 The building and statue boom initiated by the Skopje 2014 plan continues with new building construction and the installation of new statues while older statues and buildings are neglected. 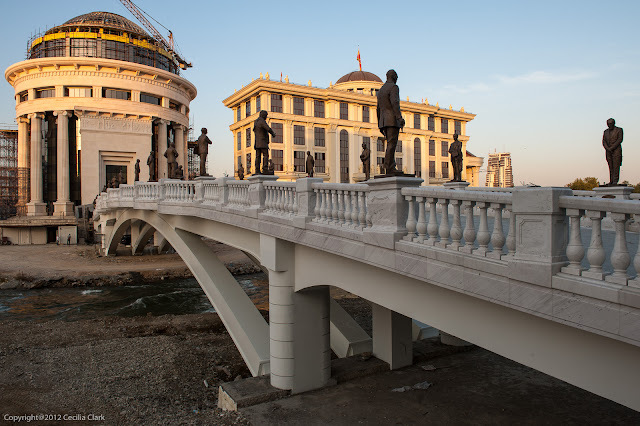 More dirt has been dumped into the River Vardar in the government's continued effort to make Skopje the ugliest city in the world albeit with the most statues. A portion of the green area near our building has just been cleared, and now it is surrounded by a construction fence. A10-story city administration building will be built. The sidewalk and lighting have been removed, but so far, the fish remains. A baroque-style 6-story parking garage will be built over the present asphalt parking lot in front of our building. 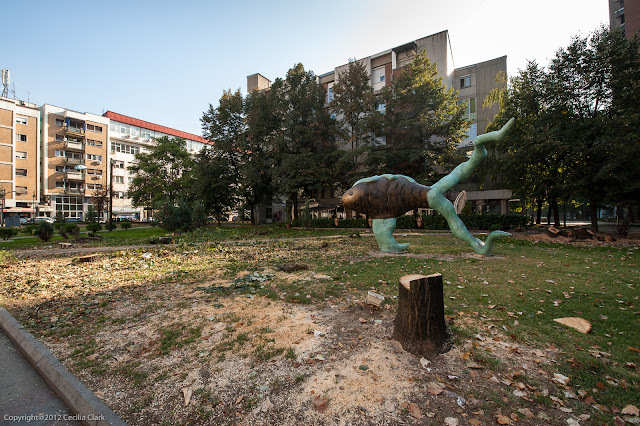 There are so few green spaces in Skopje, and next year there will be even less. How much will the Skopje 2014 project cost? In 2009, the government of Macedonia announced Skopje 2014 and its 80-million-euro-price tag. According to an investigative article in the Pristina Insight newspaper, there have been many addendums to initial contracts (some of which are now missing) bringing the current expenditure to about 200-million euros. The opposition party claims the new price tag is over 350-million euro. Today is a holiday; it is "People's Uprising Against Fascism Day." This holiday caught us off guard with no plan on how to spend this day off. 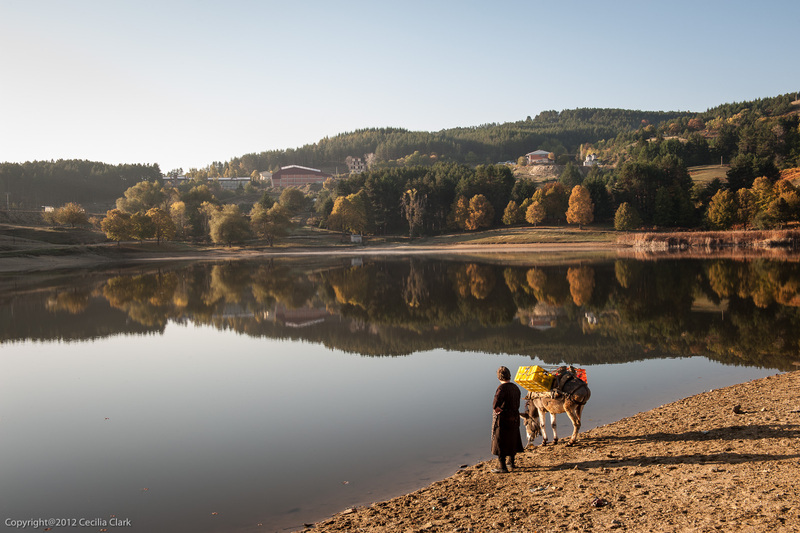 After looking through our guidebook, we decided to take a taxi to Šuto Orizari. 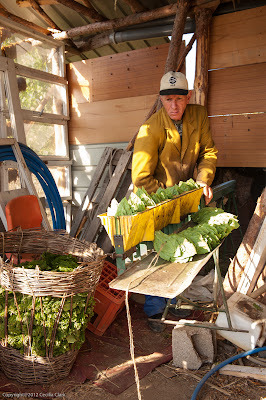 Šuto Orizari or "Šuto" most people know it, is a Roma community. There is a very large clothing market there that sells items at very low prices, but it is also a neighborhood. We walked along the main street passing the market by. Eventually, we turned into the neighborhood. The neighborhood is sprinkled with large homes that have been built by those families who have members working abroad. 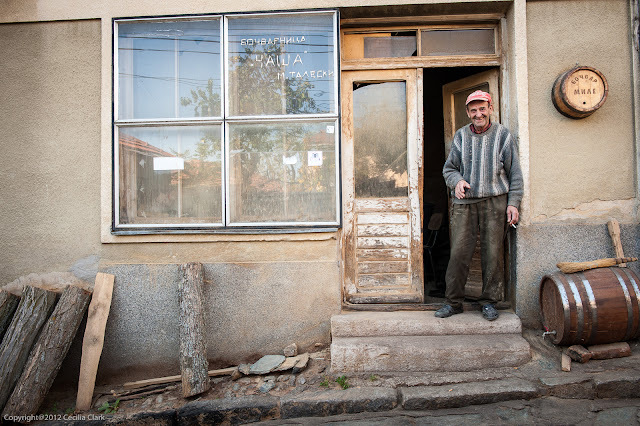 These houses project wealth and success and returned remittances. 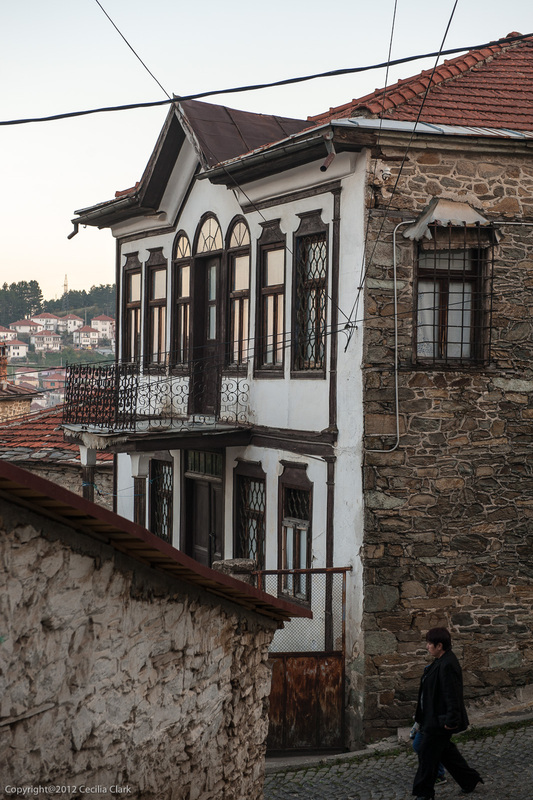 Between these mansion-like homes are much smaller, modest homes. 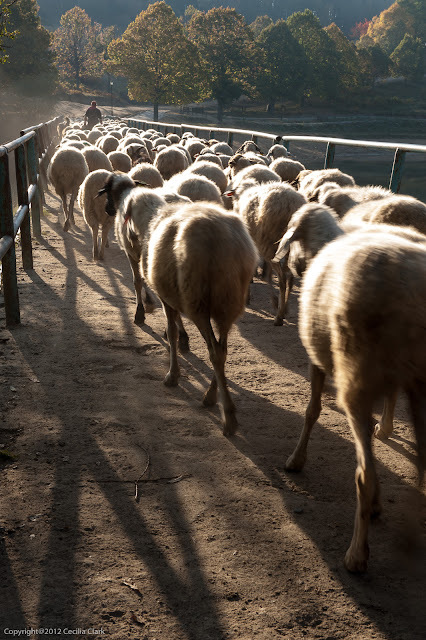 As we walked, we let our noses set the direction. The delicious smell of roasting peppers on this cool day perfumed the air. 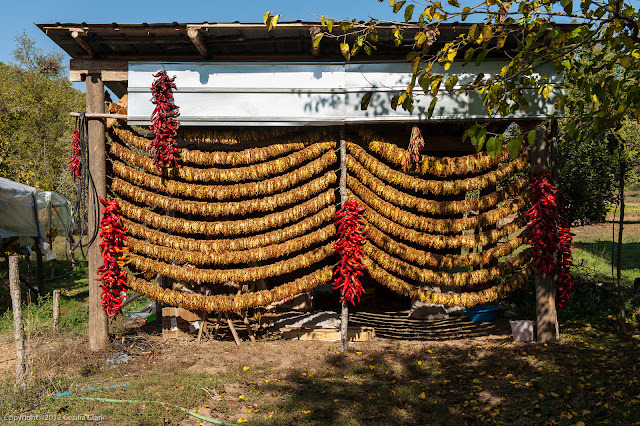 Autumn is the season of ajvar in Macedonia. 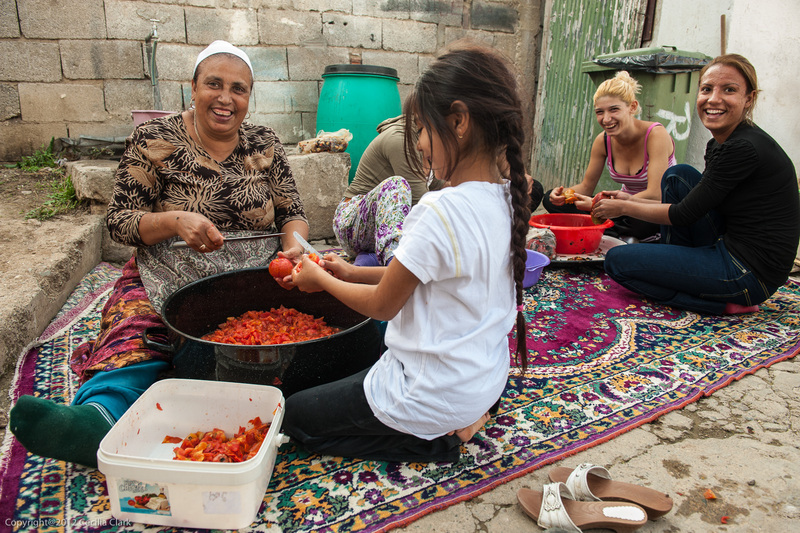 Ajvar is eaten all year long and it is its own food group in Macedonia. It is served with meats and with white feta-like cheese. It is used as a spread on thick slices of bread. 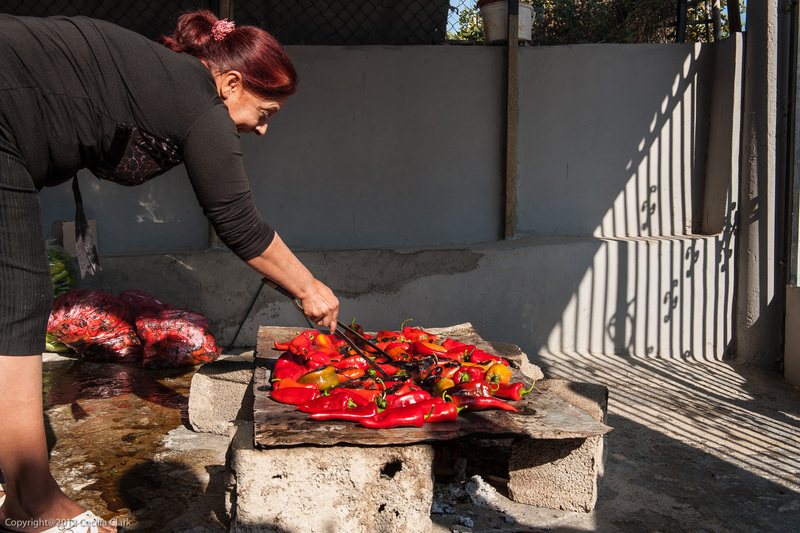 At our first stop, we found peppers cooking on a metal platform over a wood fire. The lady of the house vigilantly turned the peppers. Once a batch of peppers are evenly grilled and the skins blistered, they are scooped into a plastic bag to sweat the skin of the peppers. 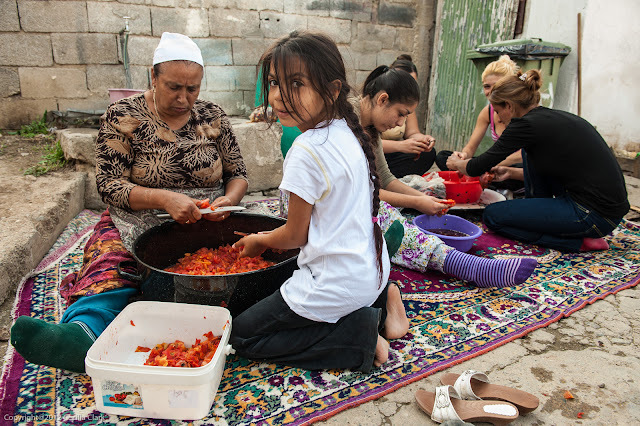 Once sweated, a group of family members begins the tedious work of separating the skin from the pepper. After we watched for a while, this family directed us down and across the street to another ajvar-making group. This was a larger group of friends and family peeling and seeding peppers. In their recipe, they also add peeled tomatoes. Some recipes include eggplant, as well. We did not stay long enough to observe the rest of the process. Ajvar is usually a two-day process. Once the peppers are peeled, they are minced. 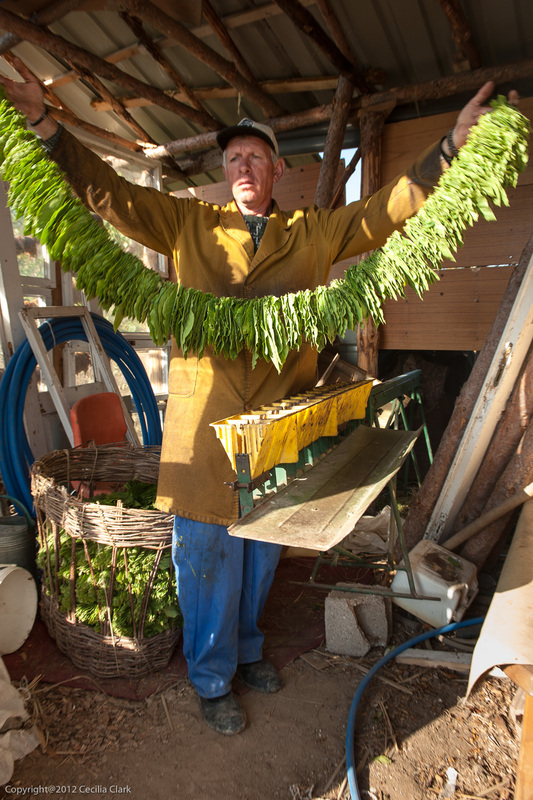 Because of the intensive hand work involved, this step is often mechanized with the use of a grinder to reduce the peppers to a mince. A large, cauldron-like pot is placed over a wood fire and once oil covering the bottom of the pot is hot, the peppers and other ingredients are added. As the peppers cook, the pot is stirred continually to keep the contents from burning. Once cooked, ajvar is preserved in jars to be consumed all winter long, and there should be enough to last until the next ajvar season. We enjoyed ourselves and I hope the Romas we met enjoyed meeting two Americans roaming their neighborhood and interested in how they live. We caught a bus back to Skopje's center. That was how we spent our "Uprising against Fascism" holiday. The commemoration is for October 11, 1941; the day "the people of Macedonia began to organize and mount an armed insurrection against their Bulgarian and Italian occupiers with an attack on the local Axis-power headquarters in the city of Prilep...., Partisans staged a simultaneous uprising against the fascists in the city of Kumanovo. The October 11 rebellion launched the war for liberation from fascist occupation, which coincided with the rise of the communist movement in Macedonia." Macedonian TV (MTB) station has a short YouTube MTB video giving the Macedonian version of the events of October 11, 1941. The comments for this video have been disabled. Why? I'm guessing that not everyone agrees with this version of events. We found ourselves in Bitola for the weekend because Dan was teaching a class of Macedonian lawyers. 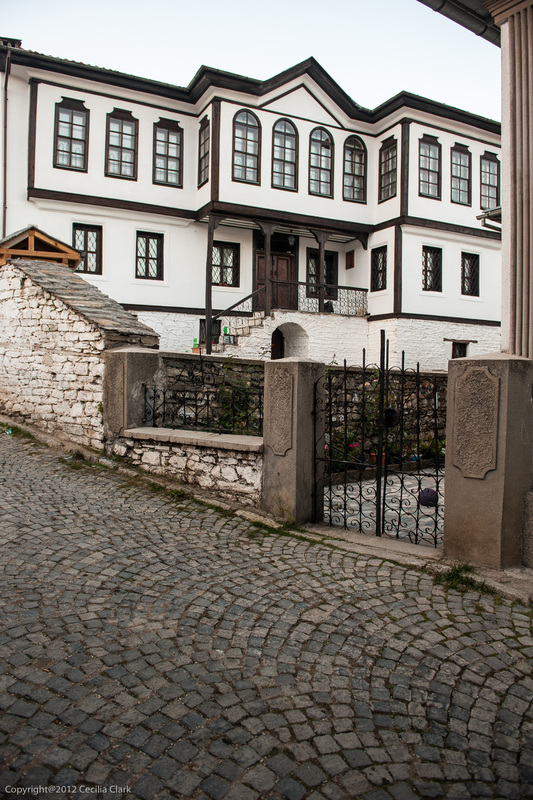 Bitola is lovely with many structures from the 18th, 19th, and early 20th-centuries. 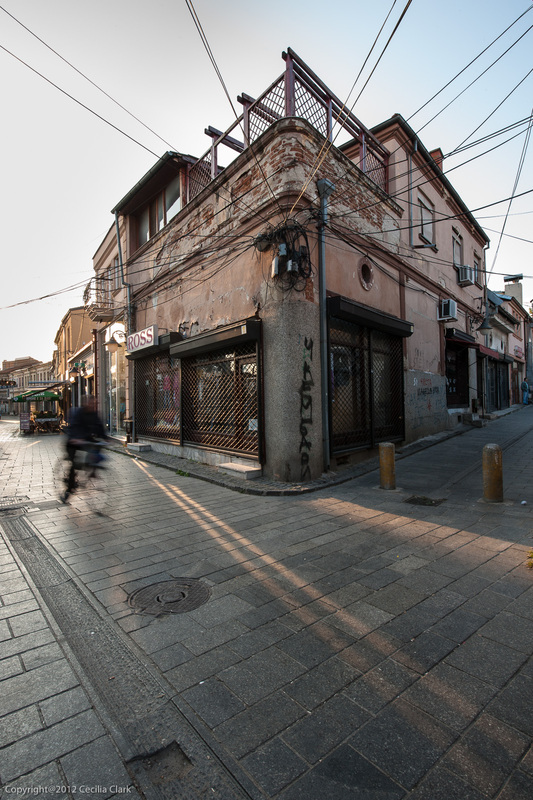 Some say that if not for the massive earthquake in 1963, Skopje would look like this. 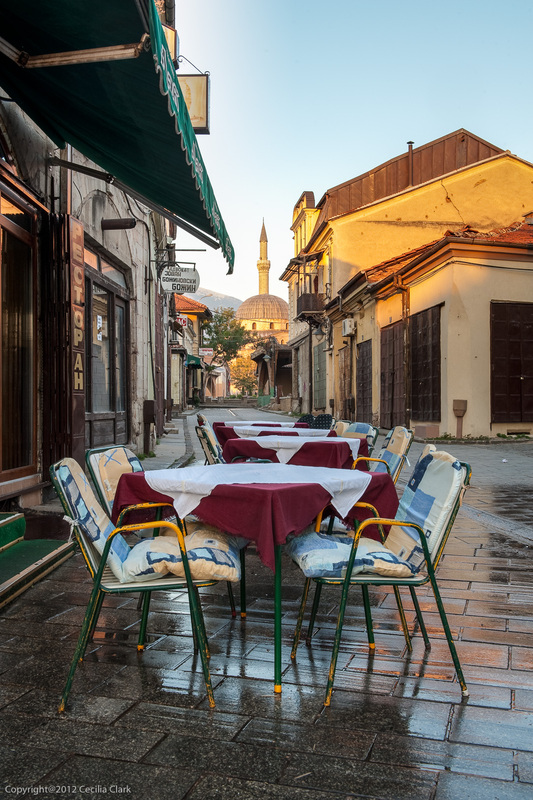 Anyway, the buildings along the pedestrian street are well preserved and give Bitola a quality and charm that is missing elsewhere in Macedonia. 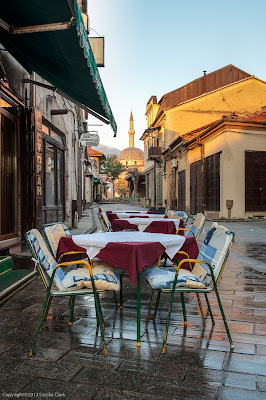 Bitola, like most cities in Macedonia, has an old Turkish town and bazaar dating back to the time when Macedonia was part of the larger Ottoman Macedonia. 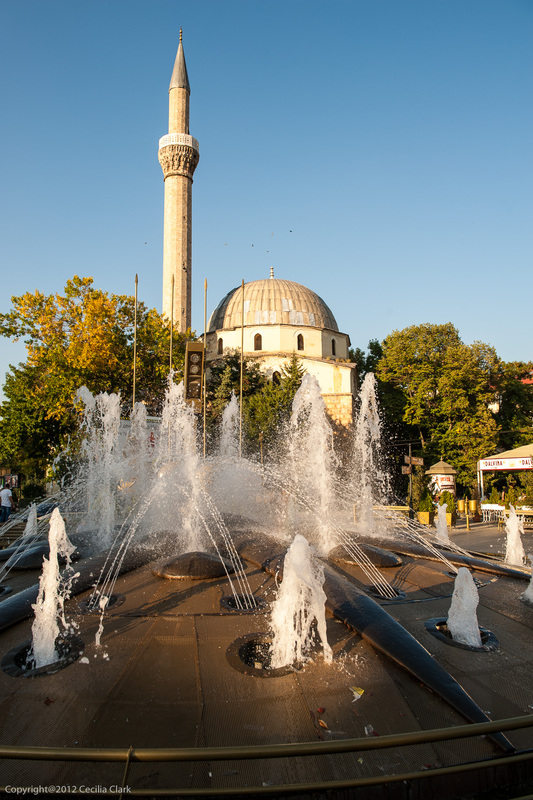 Pre-Balkan wars and WWII, Bitola was a flourishing city accommodating many religions within the small area of the present-day pedestrian street. 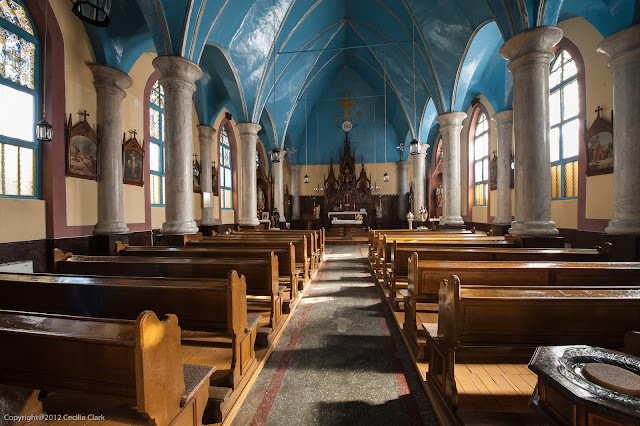 Then there were several mosques and a synagogue in the older, Turkish area and a catholic church, an orthodox church across the River Dragor in the 18th-century city. Today, the synagogue is gone as are the Jews. A decade ago the Ottoman-era clock tower was topped with a cross. In former times, Muslim imams looked to the time on the clock tower to guide their calls to prayer. Today, most of the mosques are non-functioning, remnants of history. Strangely, even though the residents of Bitola, and indeed all of Macedonia chaffed under the yoke of Ottoman rule, half of the Bitola museum is a shrine to Ataturk. 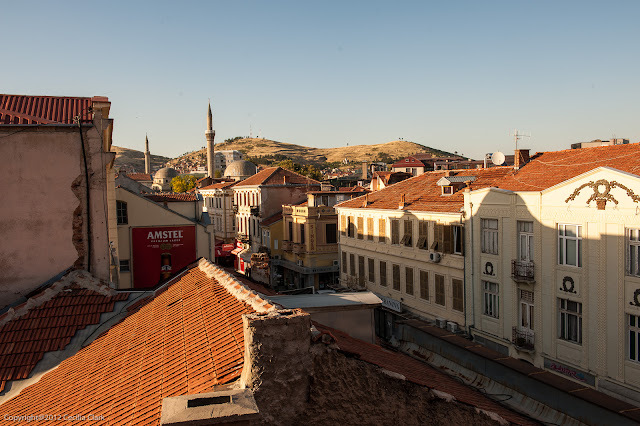 Mustafa Kemel spent some of his military school years in Bitola and present-day Bitola honors that brief stay with a room dedicated to all things Ataturk. 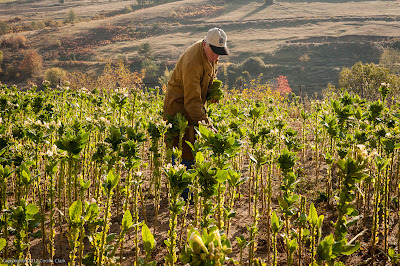 After exhausting Bitola's offerings, I visited the nearby city of Prilep to see the tobacco harvest. Twenty-two percent of the value of agricultural exports from Macedonia is from tobacco, and almost one third of the Macedonian state budget is financed by tobacco work. Macedonia is ranked 30th in world tobacco production. 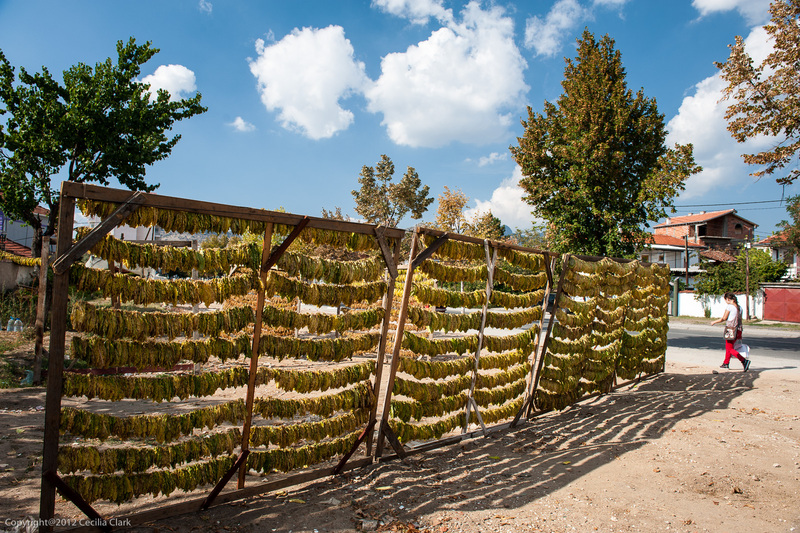 Prilep produces several small-leaf oriental tobaccos It is the spice or seasoning when mixed with Virginia broadleaf tobacco. 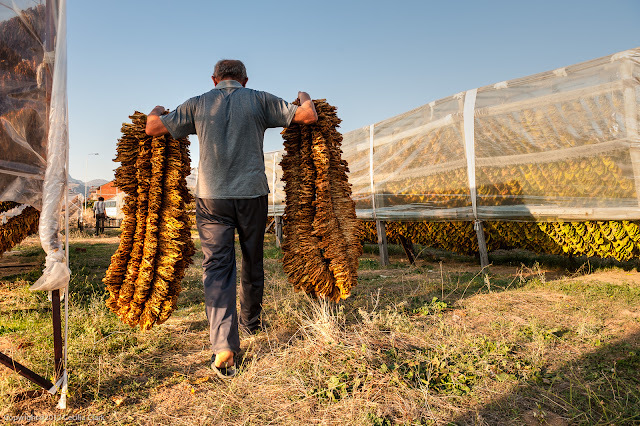 Prilep tobacco is found in most of the world's top selling brands. 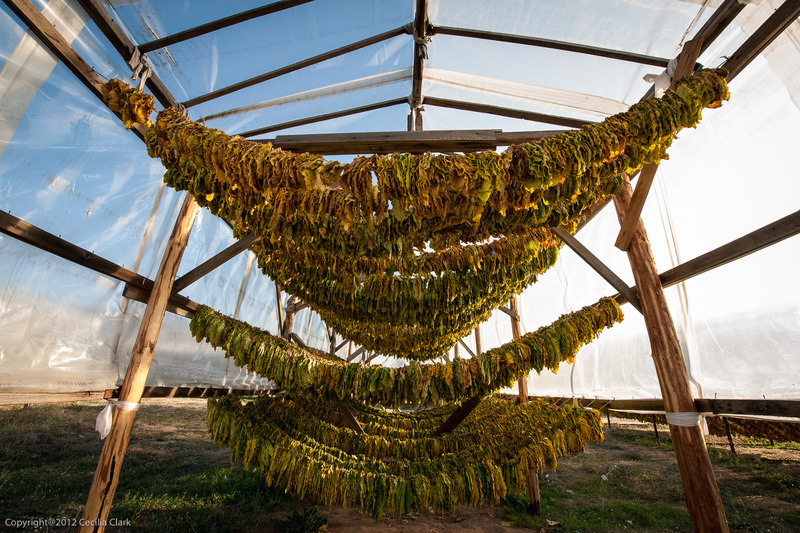 August, September, and October are the months that the leaves are handpicked from the tobacco plants. 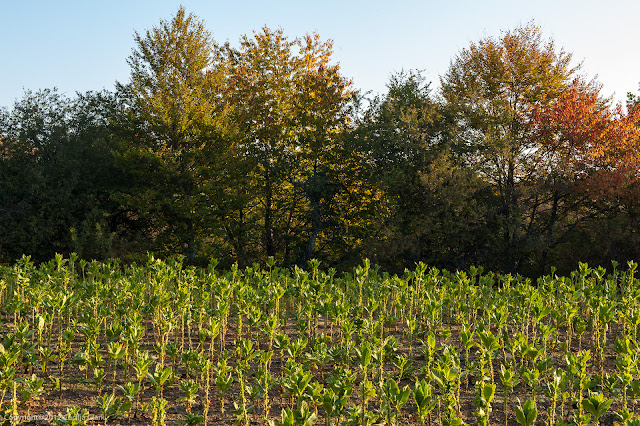 As the leaves mature, they are stripped by hand from the plants. Once the mature leaves are gathered, they are strung onto a 2-meter string and hung on wooded frames. Drying racks are in front of houses and on empty lots. During the harvest season, they are everywhere there is space. 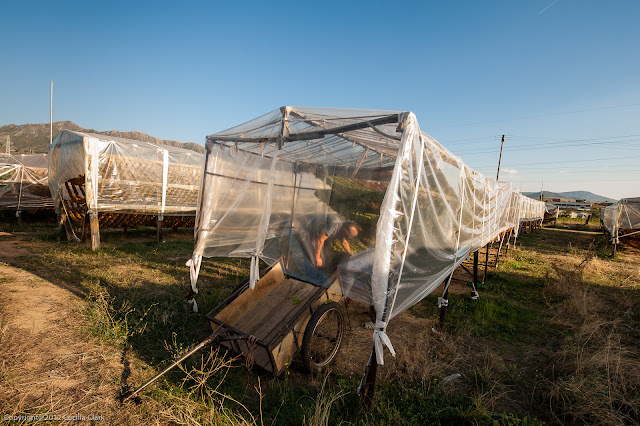 There are large empty lots that are covered with tented drying racks. Each tented structure has a family name written on it. As the leaves dry and become golden, those strings are removed and new strings of green leaves are strung in their places. As cigarette makers move toward lighter, lower nicotine-type cigarettes, demand for Macedonia's oriental tobacco is declining. The World Health Organization (WHO) is pushing for regulations that will decrease cigarette consumption and smoking. Tobacco growers all over the Balkans are opposed to these regulations. 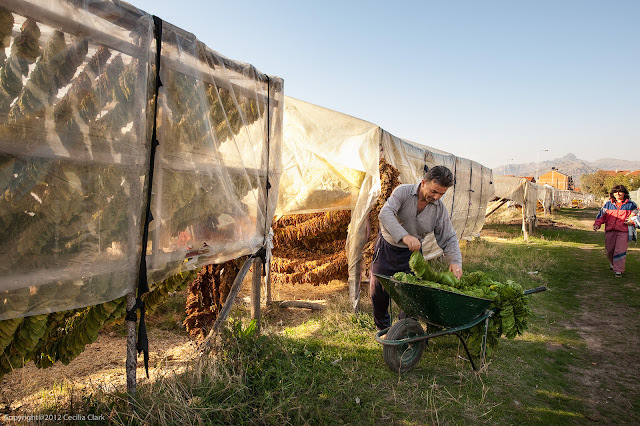 Tobacco has been grown in Macedonia for over 100 years and a decline in this industry will cause thousands of small farmers to lose their only source of income.